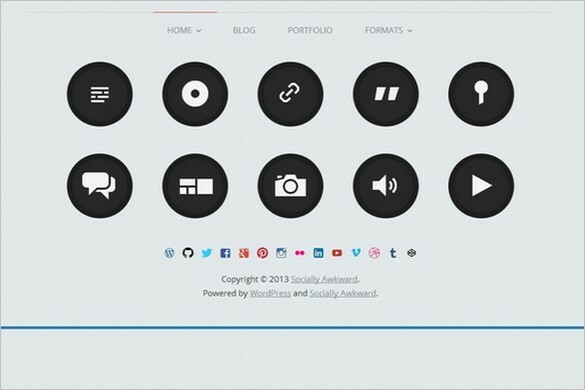 What are they absolute best free WordPress themes in 2013! Tough question, right? 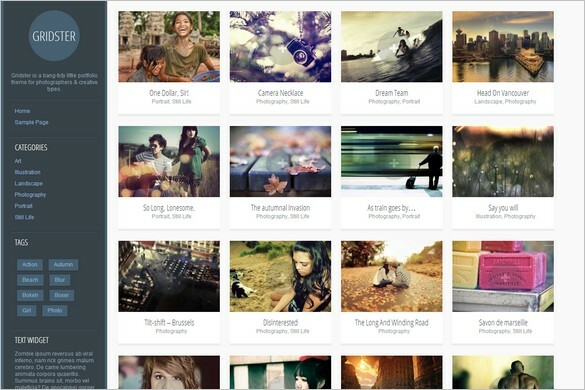 When the year 2013 is coming to an end, I want to sum ​​up the year with the 50 best free WordPress themes. I have selected a number of awesome free themes that I know you will appreciate, love and can use on your own WordPress blogs. There were so many themes to choose from but my choice fell on these 50 themes that I think stood out from the crowd in an outstanding way. All themes are of course free, GPL licensed and designed with unique, exceptional designs and layouts. 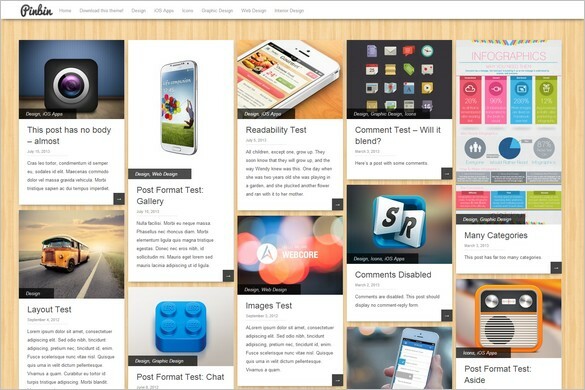 Why not start the New Year of 2014 with a bang and try out the absolute best free WordPress themes 2013. I hope you will like these themes as much as I do. Awesomeness. 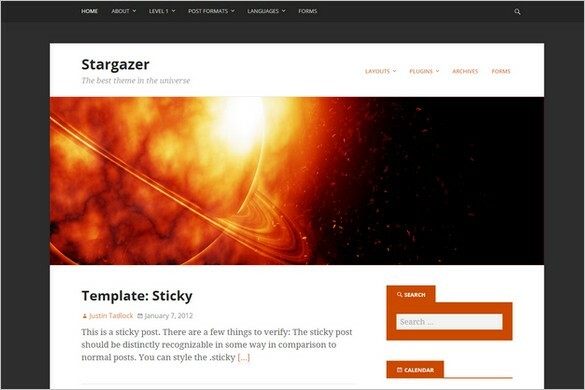 Stargazer designed by Justin Tadlock is a free unique WordPress theme. The theme is built on the Hybrid Core theme framework and includes awesome built-in theme features. Hueman is a awesome and feature-rich free WordPress theme from from Alexander Agnarson. The theme includes and ultra-responsive and adaptable design plus much more. 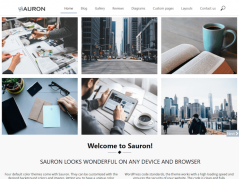 DW Minion is a great looking free WordPress theme from DesignWall. The design responsive, spacious and perfect for all kind of blogs and websites presenting content in style. 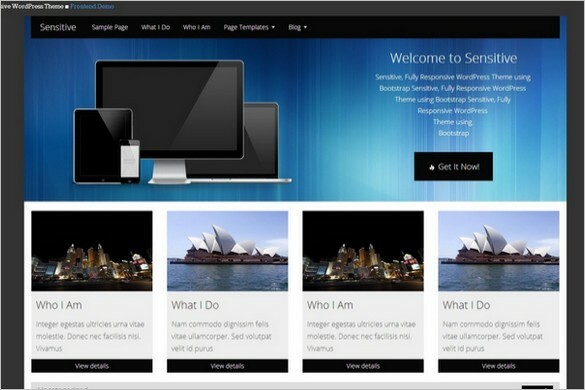 Serene is free and beautiful WordPress theme from Elegant Themes. The design of Serene is simplistic and spacious with an elegant look full of great features and options. 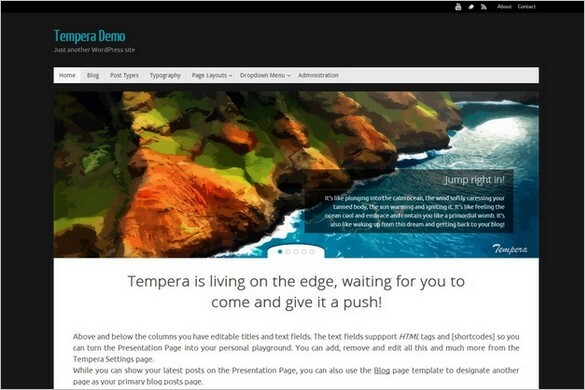 Tempera is a free WordPress theme from CryoutCreations that comes totally jam-packed with premium features such as a solid framework of over 200 settings plus much more. 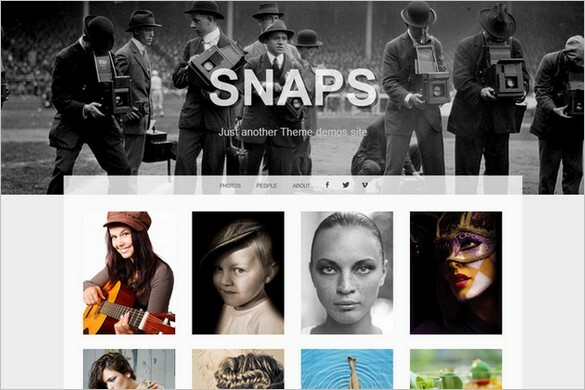 Snaps is an elegant free portfolio WordPress theme from Graph Paper Press. Snaps the perfect theme for showcasing and showoff portrait images and galleries the best way possible. 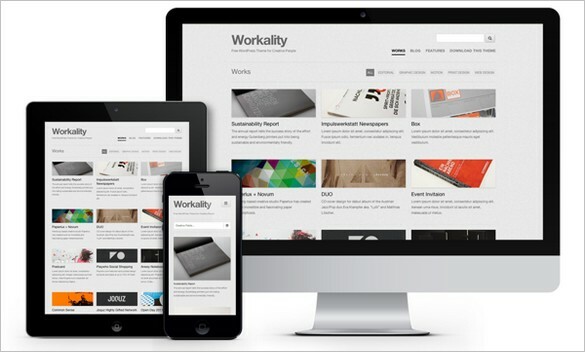 Workality Lite is a beautiful and elegant free WordPress theme from Northeme. This is a great creative portfolio theme with respnsive and adaptable design. 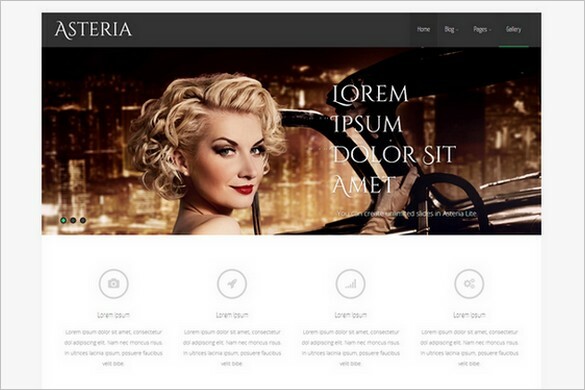 Asteria Lite is a beautiful free WordPress theme from Towfiq I. 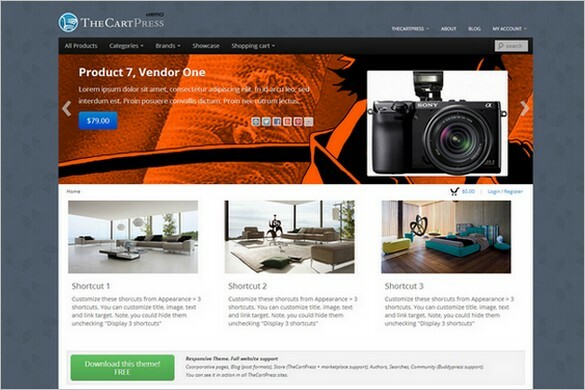 The theme comes packed with features such as responsive design, slider, lightbox, Woocommerce support etc. 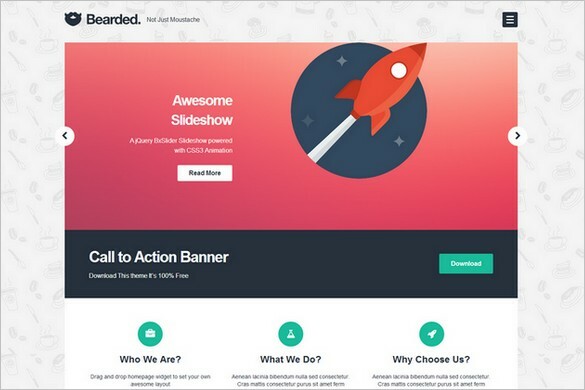 Bearded is a free WordPress theme release from from Bonfirelab. This is a responsive CSS3 and HTML5 blogging theme perfect for all kind of portfolio and galleries. 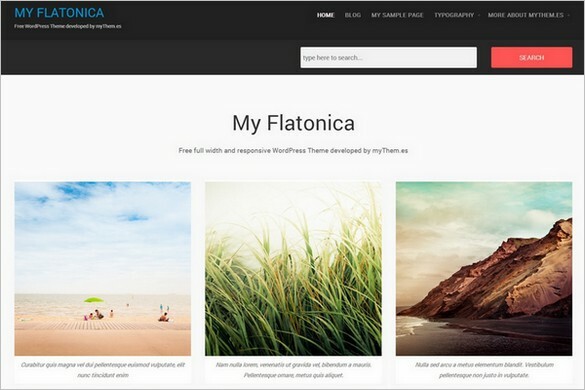 My Flatonica is free responsive WordPress theme from myThem.es. The theme is designed with flat elegant design and is perfect to showcase and present photos, portfolios etc. Codium Grid is a free grid based WordPress theme with responsive design so it will adapt and will look perfect in any devices. Showcase creative content with this free theme. Flounder is a colorful free WordPress theme release with flat and responsive design. The theme is minimalist and elegant designed with full support for all post formats. 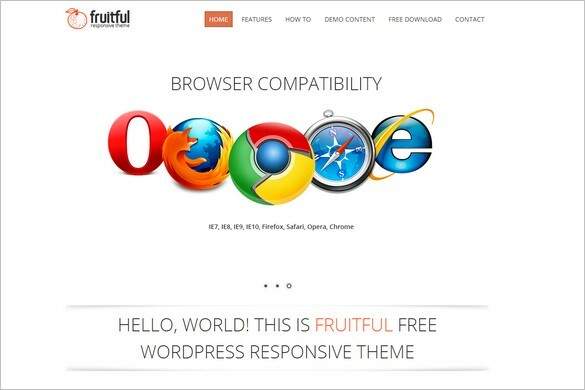 Fruitful is a elegant and beautiful free WordPress theme Fruitful Code. The design is simple, clean and responsive. Fruitful comes with a powerful theme options panel etc. Ward is a free lightweight WordPress theme from c.bavota. 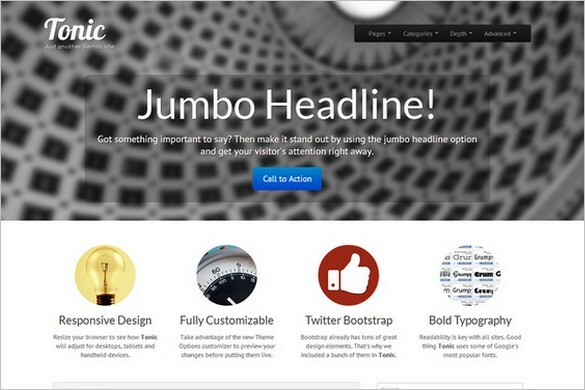 The theme is built with Twitter Bootstrap and include theme options customizer, post formats, responsive layout etc. 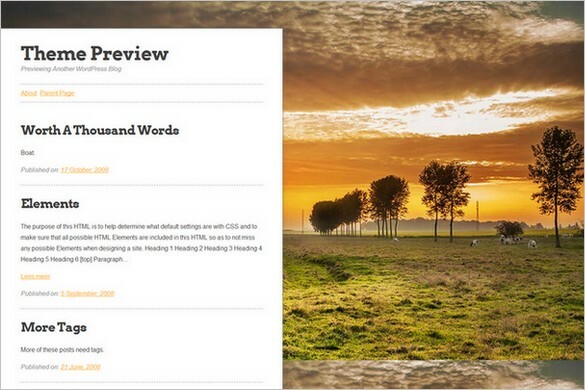 Twenty Fourteen the new default theme for WordPress 2014 is a designed in magazine style. The theme comes with a sleek, modern and beautiful responsive design. 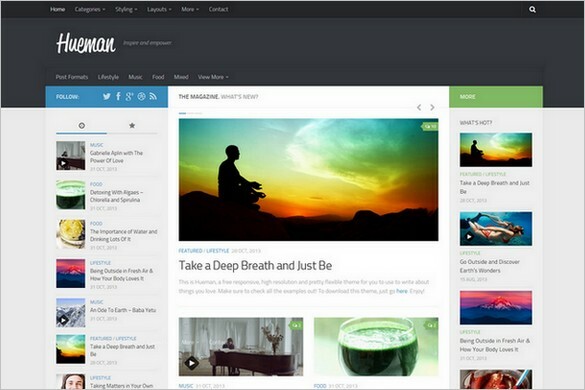 Twenty Thirteen was the default WordPress theme for the year 2013. 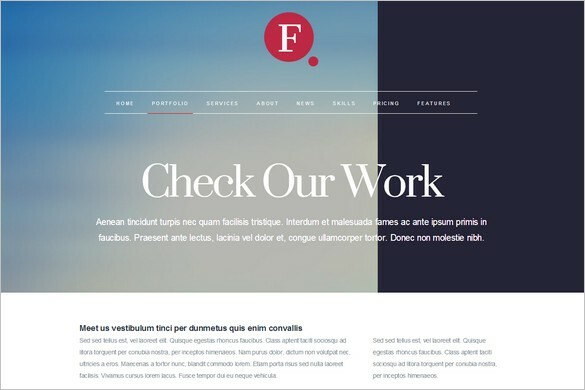 The theme features an coorful and responsive design, post formats, beautiful typography and icons etc. 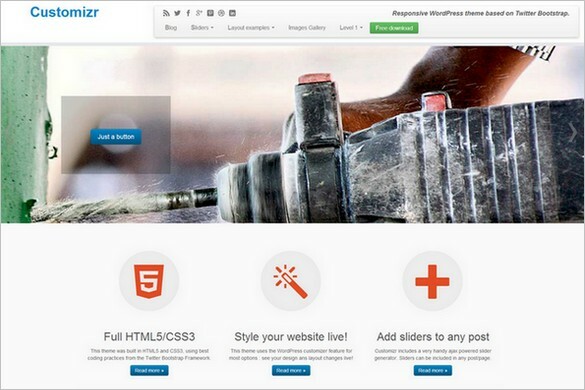 Customizr is a cool feature-rich free WordPress theme. The theme is built on a fluid flexible grid with responsive and adaptable design that will look perfect in any screens. 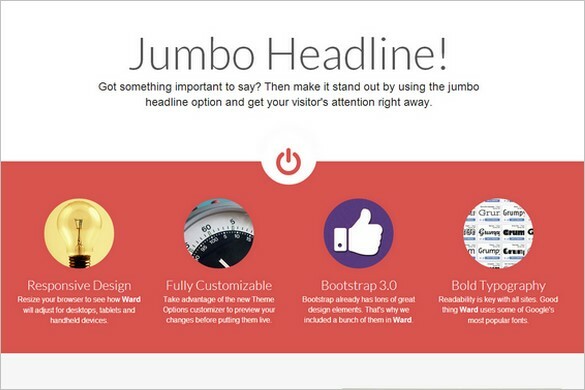 Finale is a free eye-catching WordPress theme from ThemeSmarts. This is a stylish theme with elegant and clean design. Finale comes packed with a theme features and options. Chun is another great free WordPress theme from Justin Tadlock. 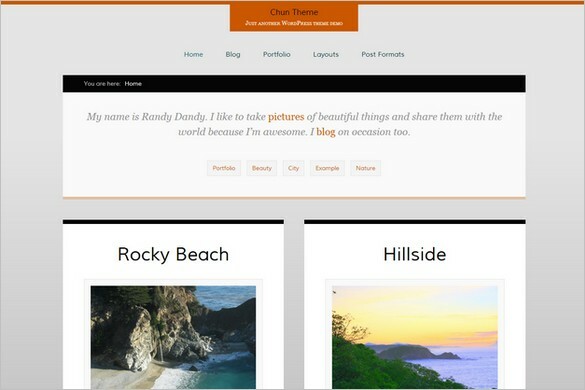 The theme comes with support of the custom content portfolio plugin so it is easy to share creative content. 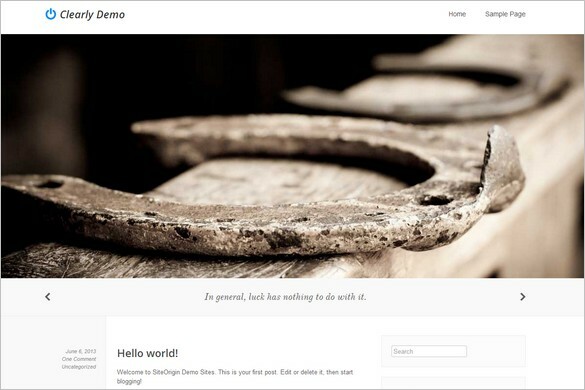 Boot Store is free Bootstrap eCommerce WordPress theme. The is is the perfect theme to set up your online shop or store. Boot Store comes packed with eCommerce features. Sukelius Magazine is a beautiful free WordPress theme built on the Hybrid Core Framework. It is a modern magazine and news WordPress theme with great features included. 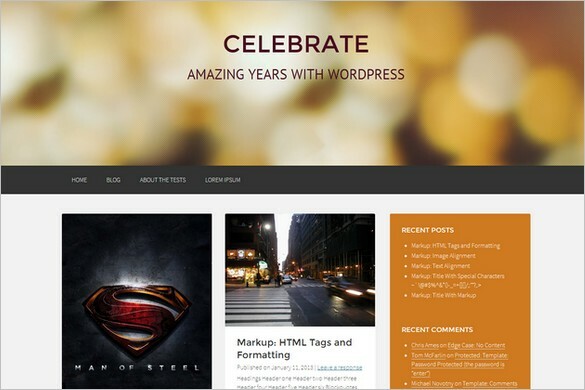 Celebrate is a free WordPress theme release from THEMEHALL. The theme is built with the Hybrid Core and comes with responsive design, masonry layout, post formats etc. 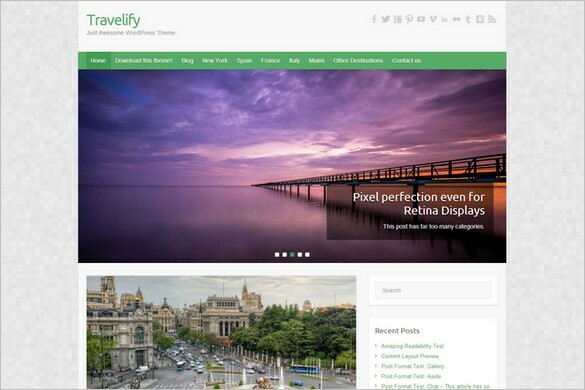 Travelify is a beautiful and fully responsive WordPress WooCommerce theme from Colorlib. This is a theme that comes totally packed with great features and options. Pinbin is a free Pinterest inspired WordPress theme from Colorlib. Pinbin is just perfect for all graphic designers, designers and photographers showcasing creative content. 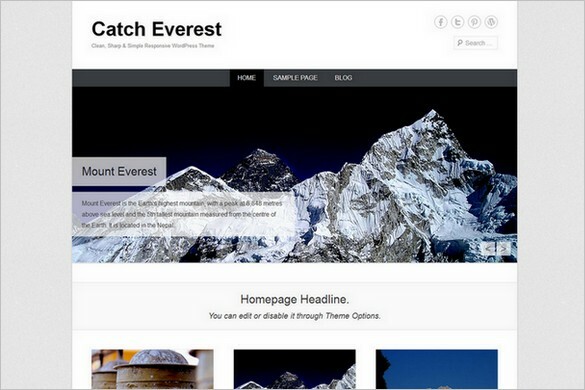 Catch Everest is a great looking and elegant free WordPress theme from Catch Themes. It features theme options, responsive design, featured post slider, webmaster tools etc. 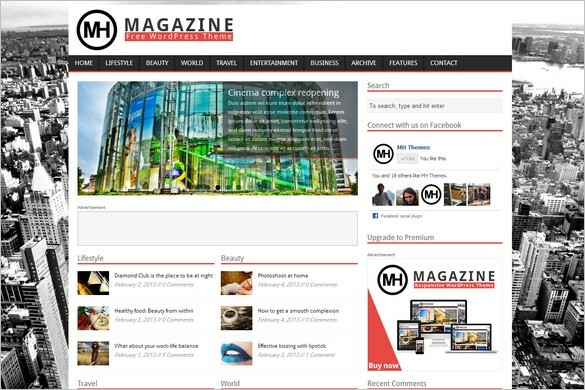 MH Magazine lite is a great looking free WordPress theme by MH Themes. The theme is designed in magazine style and is perfect for news websites and online portals. 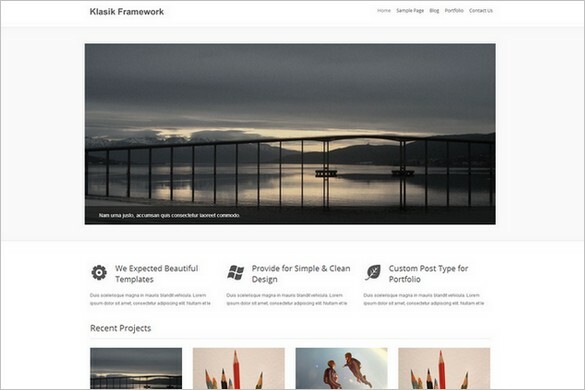 Klasik is a free base/starter WordPress theme from Klasik Themes. This is a great for quicker WordPress theme development. Perfect for business, portfolio, gallery etc. 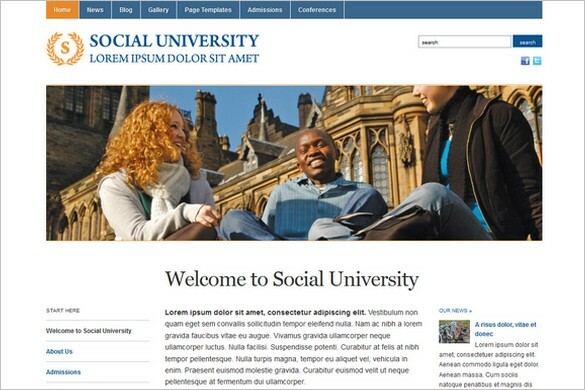 Academica is a free WordPress theme from WPZOOM perfect for education websites and blogs. It includes features such as WPZOOM options panel, featured posts slider etc. 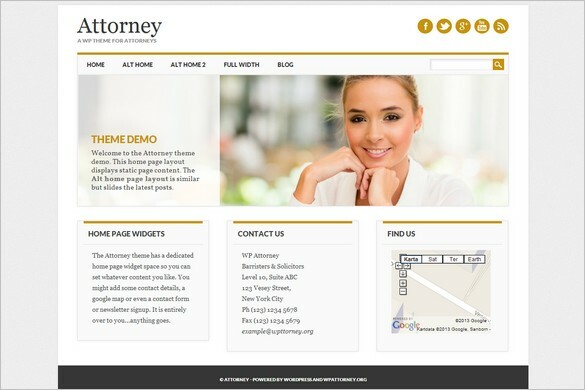 Attorney is a elegant WordPress theme from WPThemes.co.nz designed with attorneys and law firms in minds. The theme features a couple of alternative home page templates. 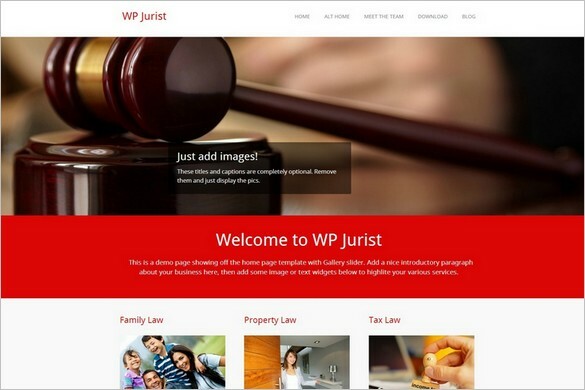 WP Jurist is another great free WordPress theme from WP Dev Shed. Same as the Attorney theme the WP Jurist is also designed with law firms and business websites in mind. Sensitive is a free Twitter Bootstrap WordPress theme from WP Eden. 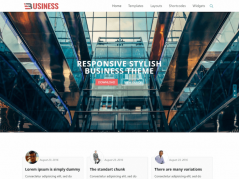 This is a theme perfect for business and portfolio websites presenting inspiring content and products. 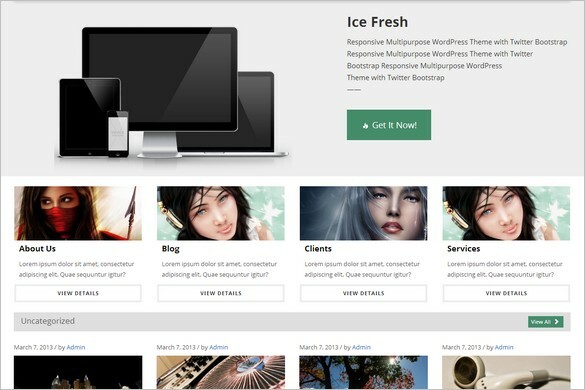 Ice Fresh is a elegant and stylish child WordPress theme for Sensitive. The theme is designed by WP Eden using Twitter Bootstrap. The layout is responsive and adaptable. 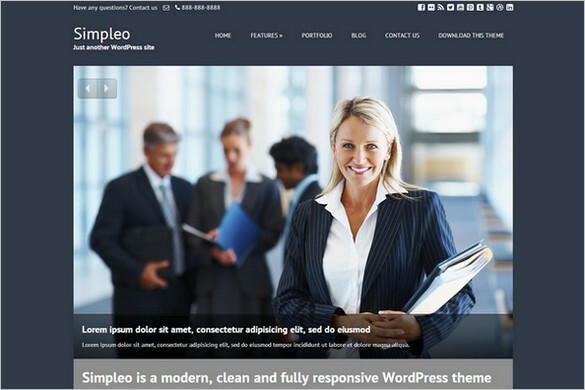 Simpleo is a modern, trendy and free business WordPress theme from VPThemes. Simpleo comes packed with features and options such as admin panel, eCommerce support etc. 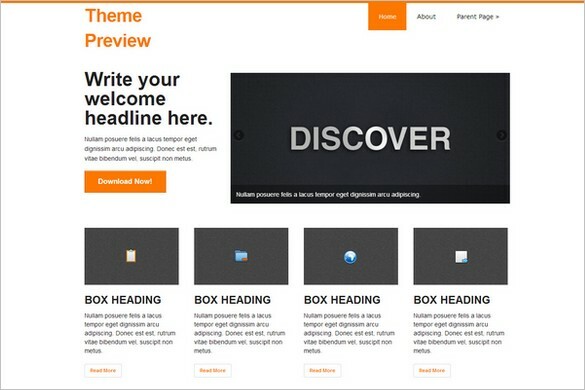 discover is a free colorful WordPress theme from AntThemes. The theme is fully responsive, includes great features and options and comes with support for WooCommerce. 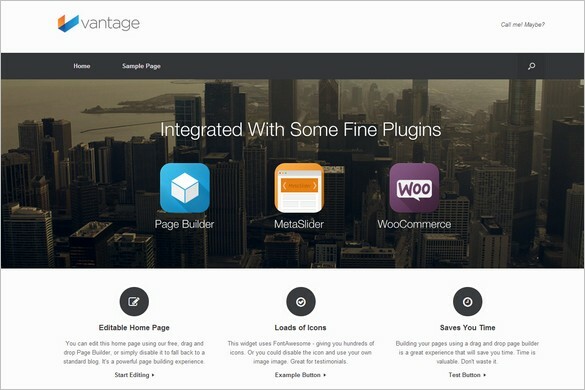 Vantage is a modern and trendy free WordPress theme from SiteOrigin. The theme is a multipurpose WordPress theme but maybe best suited for all kind of business websites. 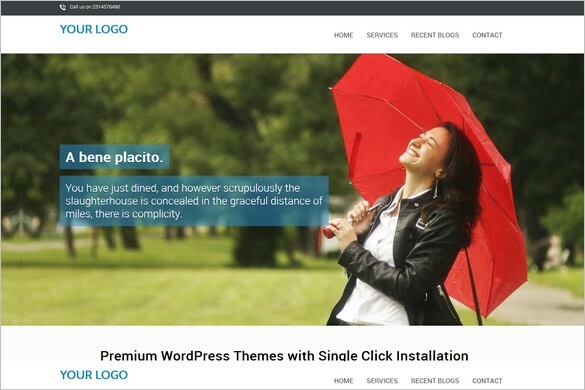 Clearly is another great free business WordPress theme from SiteOrigin. This is a easy-to-start-and-use WordPress theme with strong focus on Page Builder integration. 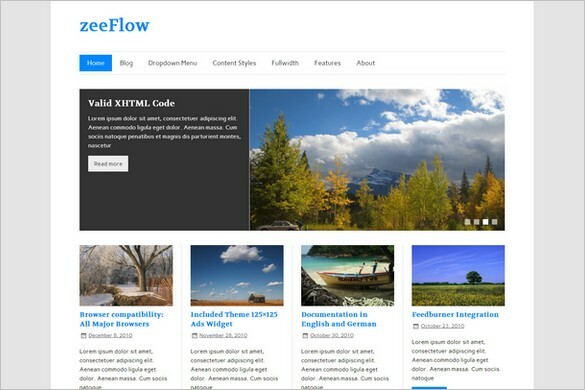 zeeFlow is free magazine WordPress theme from ThemeZee. The theme is fully responsive, comes with theme options, featured post slider, several category post boxes etc. 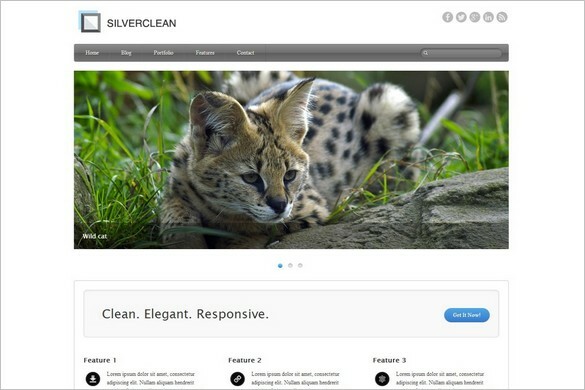 Silverclean Lite is a clean, elegant, responsive and free WordPress theme from Iceable Themes. With this theme you can easily create a professional looking site in minutes. Socially Awkward is a free responsive WordPress theme from Justin Tadlock. This is a great WordPress media theme loaded to display self-hosted media (images, audio, video). 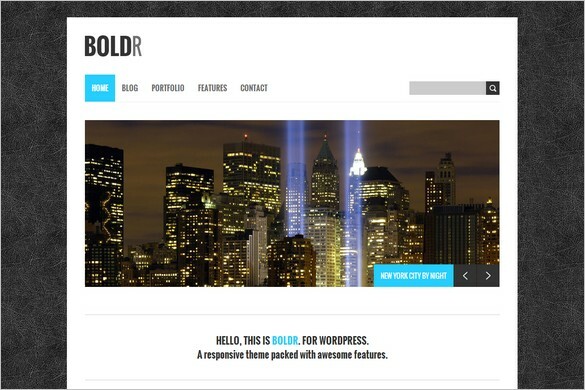 BoldR Lite is a free WordPress theme from Iceable Theme. With this theme you can create a beautiful looking website and a great online presence that your visitors will love. 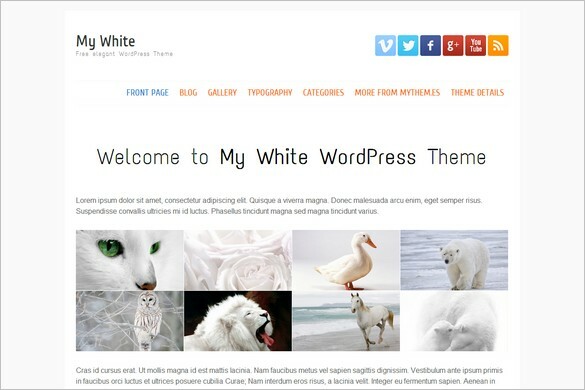 my white is a beautiful and creative free WordPress theme from myThem.es. 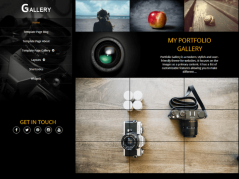 This is a feature-rich WordPress theme perfect for portfolio and gallery websites. Tonic is a free lightweight WordPress theme from c.bavota. Tonic is built with Twitter Bootstrap , fully responsive design, eight supported post formats plus much more. 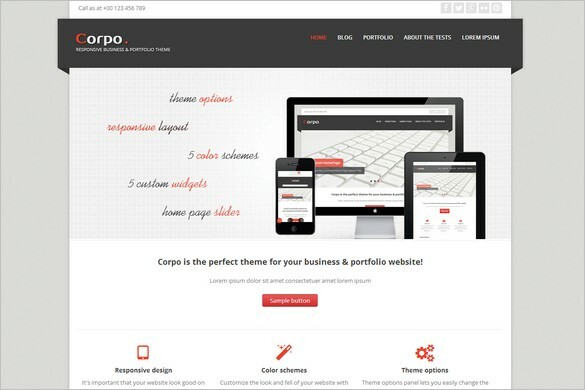 Corpo is a free portfolio WordPress theme from WebTuts. Features included are theme options, features slider, responsive design, custom menus, 5 custom widgets and more. 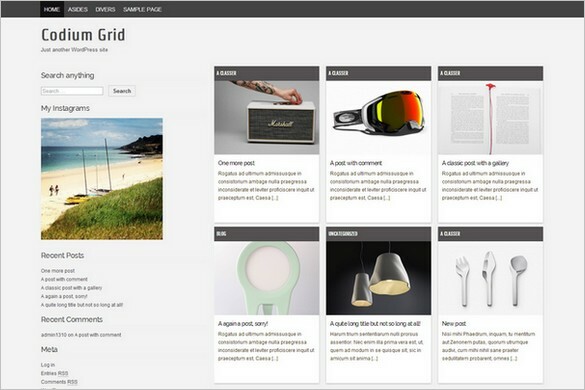 Gridster-Lite is a free portfolio WordPress theme from themefurnace. 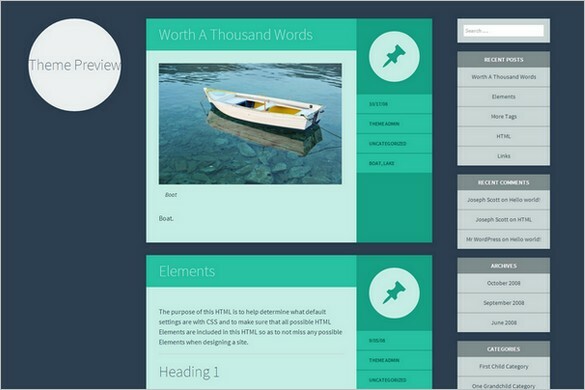 It features a left sidebar, grid-based homepage, responsive layout so it will look great in any screen. 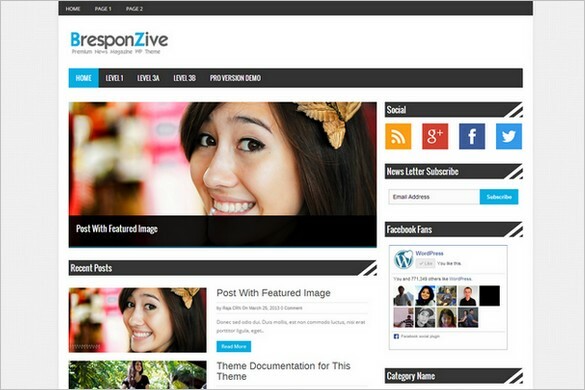 BresponZive is a free feature-rich WordPress theme from ThemePacific. The theme is beautiful designed in classic magazine style perfect for news websites and magazines. 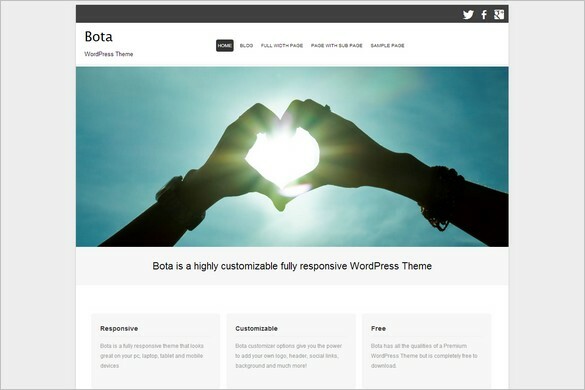 Bota is a free and customizable WordPress theme from Template Express. This theme is perfect for all kind of business and corporate websites presenting creative content. 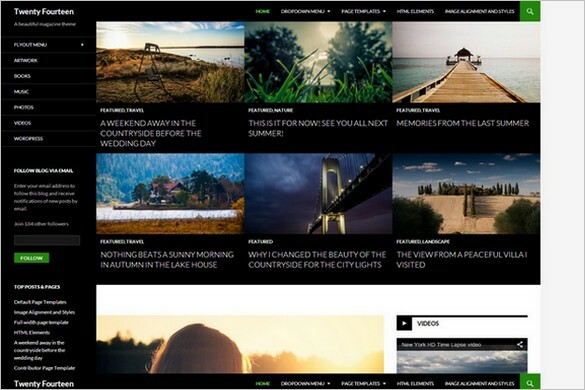 Landline is a beautiful free WordPress theme featuring a fullscreen background image. This is a perfect theme for all kind of blogging and showcase large background images. 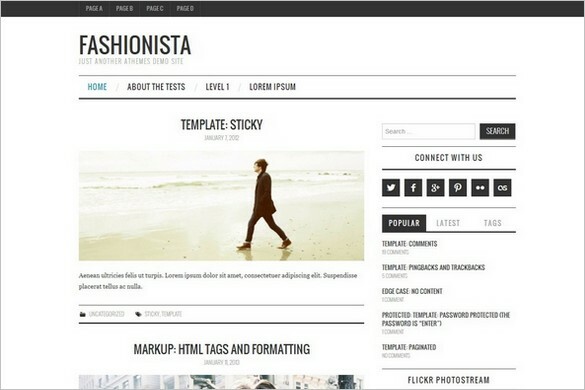 Fashionistas is a free WordPress theme in magazine style from aThemes. The theme is built on Bootstrap and the design is clean, spacious and perfect for news websites. One Page is a free one page WordPress theme from InkThemes. One Page is a great looking and professional theme perfect for all kind of business and corporate websites. 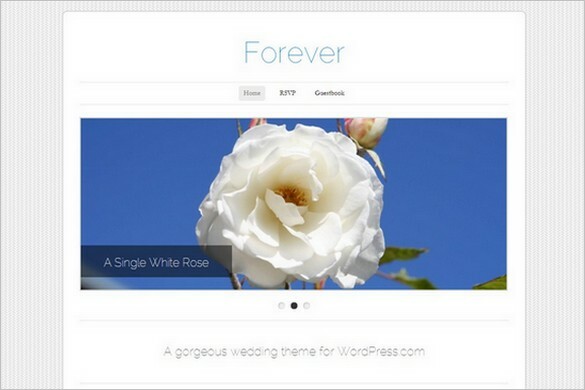 Forever is a clean and elegant free WordPress theme perfect for weddings. With this beautiful theme you can easily show off and showcase your best photos from your wedding. Happy New Year to all of you from WP Daily Themes.